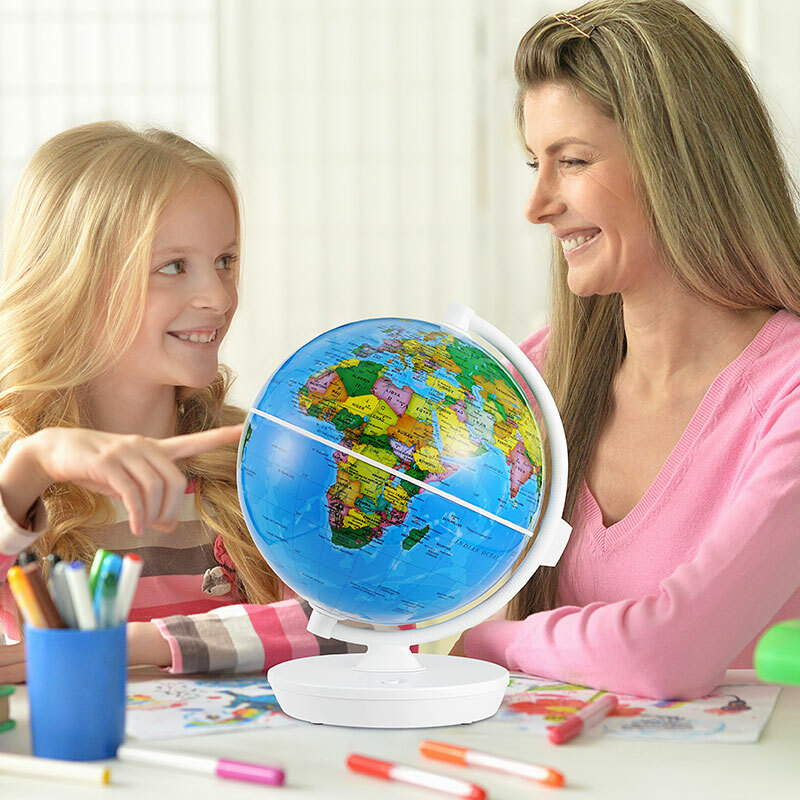 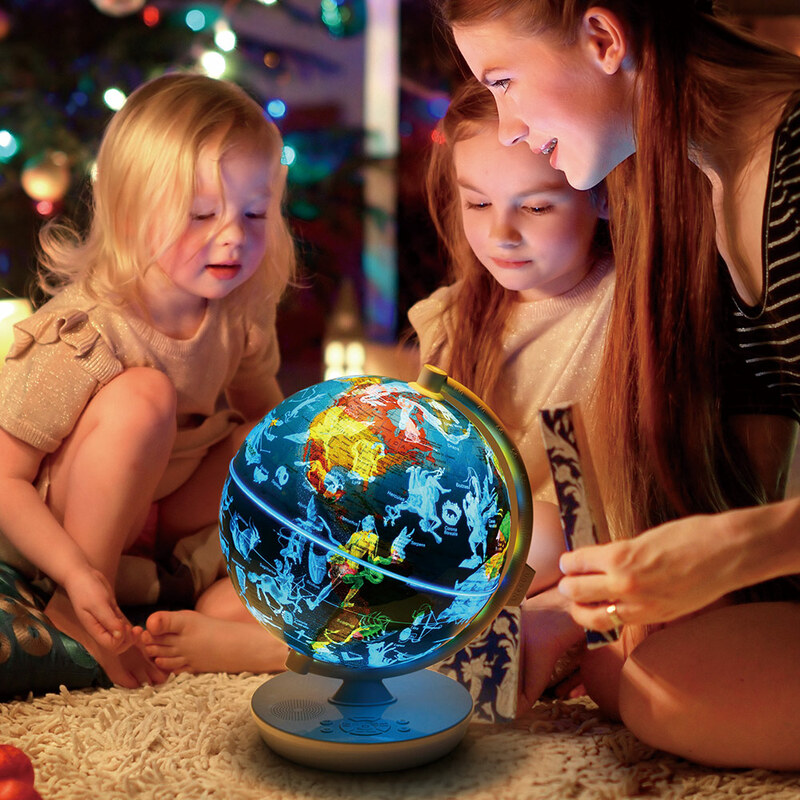 SmartGlobeTM Starry Globe brings the “entire” universe right to young adventurers’ house. 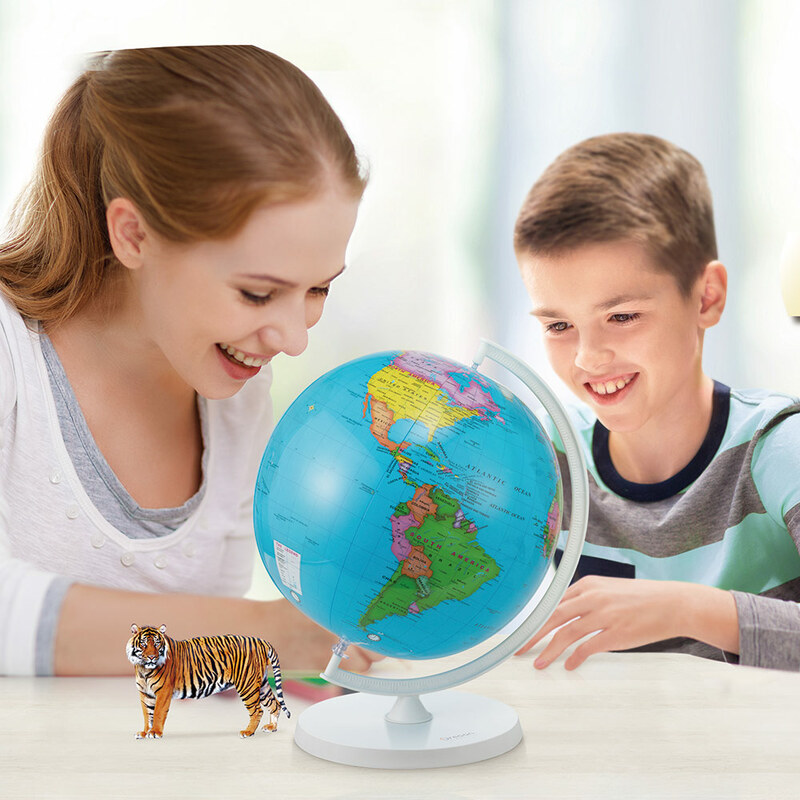 By day, this AR Globe is an interactive Earth that kids can play and learn with 3D Augmented Reality in 4 models: Animals, Landmarks, Dinosaurs and Weather. 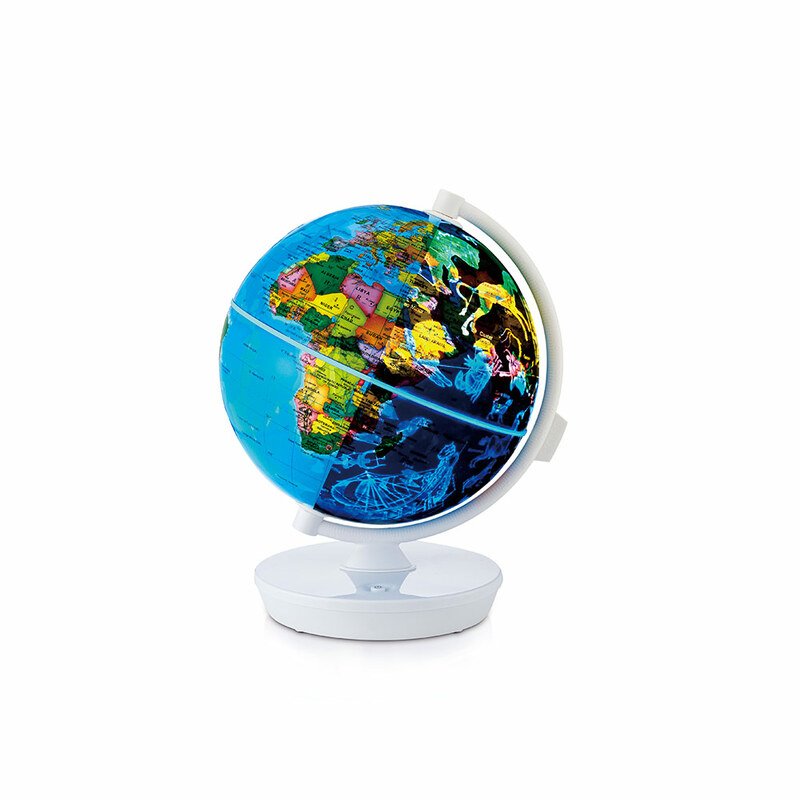 By night, it magically turns into a luminous globe, revealing 88 constellations in a starry night. 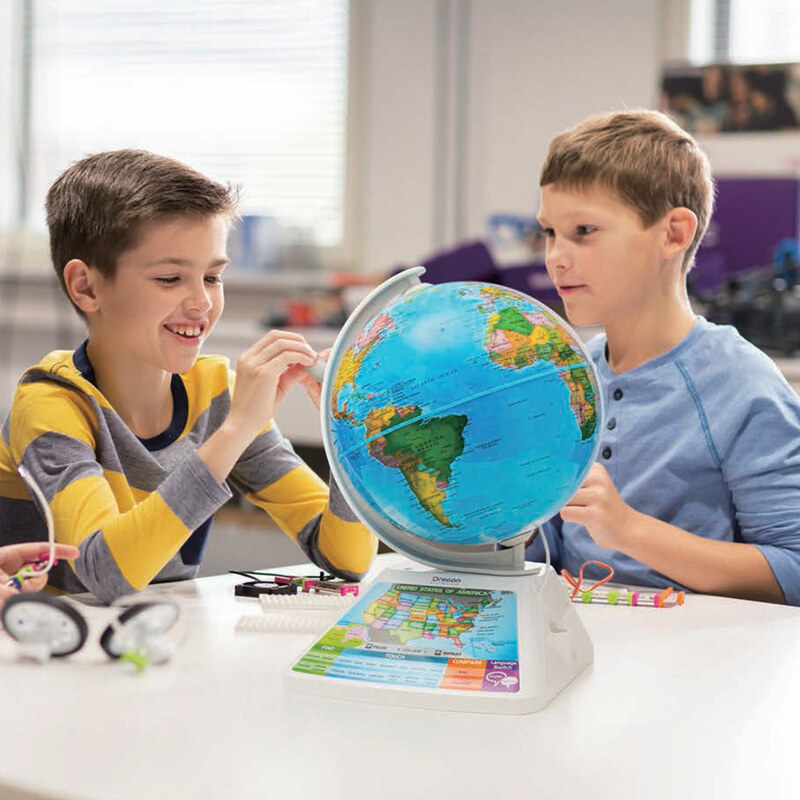 This dual mode SmartGlobeTM doubles the fun, and takes the kids one step further in their adventurous journey. 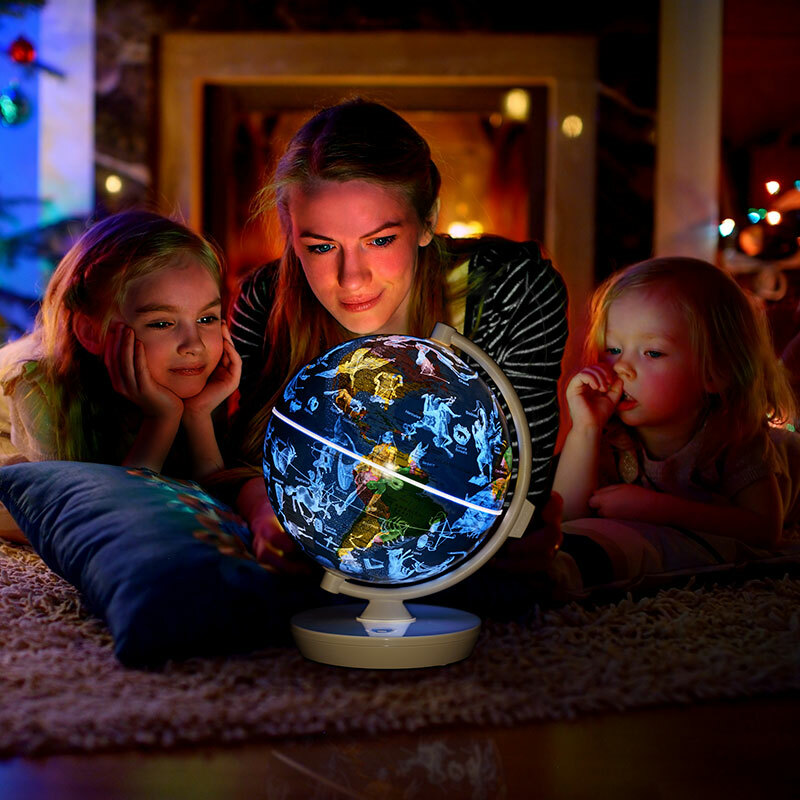 Beautiful night light reveals 88 constellations. 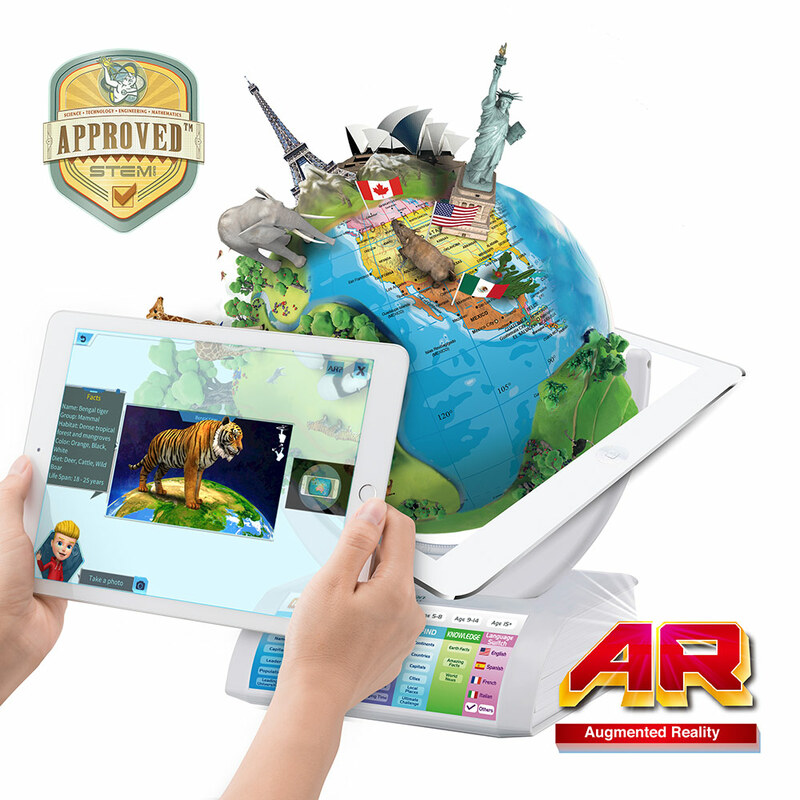 Updatable contents on theSmartGlobe™ App.